Robert Dawson travels the wide open spaces of the West to capture the perfect image with his camera. As if appearing from nowhere, this magnificent horse comes out of the swirling dust. 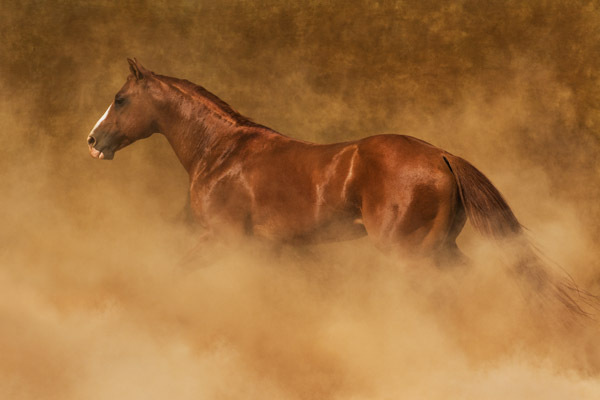 With the light catching the sheen of the horse's coat, each muscle is defined as it moves through the cloud of boiling dust.